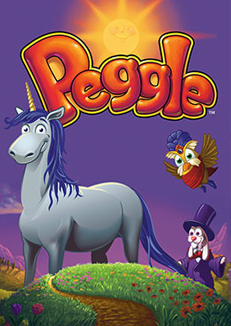 Peggle is a casual puzzle video game developed by Sukhbir Sidhu and Brian Rothstein of PopCap Games. Initially released for Microsoft Windows and Mac OS X systems in 2007, it has since had versions released for Xbox Live Arcade, PlayStation Network, the Nintendo DS (with the help of Q Entertainment), Windows Mobile, iOS, Zeebo and Android; the game has also been ported as a Java application, and an extended minigame incorporated into the massively multiplayer online game World of Warcraft. A sequel was released in September 2008, titled Peggle Nights.